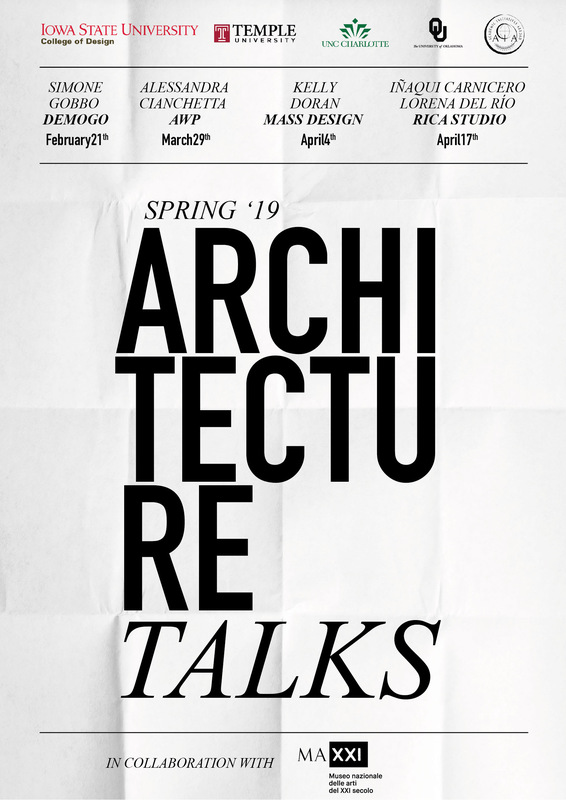 ISU Department of Architecture Rome Program is happy to announce a Spring 2019 series Architecture Talks at MAXXI in Rome. Architecture Talks is a series of design lectures, organized by professors Simone Capra and Pia Schneider and promoted by Iowa State University, Temple University, University of Oklahoma, University of North Carolina-Charlotte and AIA (Academic Initiates Abroad), in collaboration with MAXXI Director of Architecture Margherita Guccione, Senior Curator Pippo Ciorra, and Education Coordinator Elena Pelosi. Architecture Talks will present a selection of internationally renowned practices and professionals working in the areas of architecture, landscape and urban design. 2019 participants will be: AWP (London), Demogo (Treviso), Mass Design (Boston-Kigali) and Rica studio (Madrid-New York). 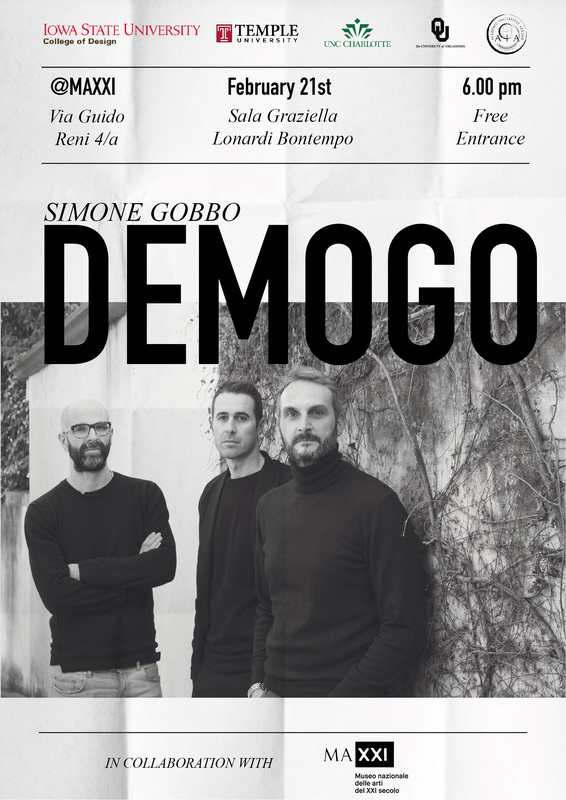 We are happy to invite you to the first talk with Simone Gobbo, principal at DEMOGO on Thursday, February 21st 6pm at MAXXI, sala Graziella Lonardi Bontempo. In 2019 Demogo won the Europan 10 competition for the new town hall of Gembloux in Belgium. The building has also been awarded the IQU prize for Innovation and Urban Quality. In 2018 DEMOGO contributed to the 16th Venice Biennale of Architecture at the Italian Pavilion – Arcipelago Italia. DEMOGO won the 2018 Gold Medal of Italian Architecture, special section T Young Claudio De Albertis Prize at the Triennale di Milano awards. MAXXI is the National museum of contemporary art and architecture designed by the late Pritzker prize architect Zaha Hadid. The museum is one of the most important cultural institutes in the city of Rome, and one of the premier examples of contemporary architecture in Europe. The lectures will be free to the students and are part of the Rome Program’s curriculum and growing global network for students. The Rome Program through the College of Design and the Department of Architecture seeks to provide a cultural and rigorous pedagogy through classes taught in the historic center of Rome featuring local and engaged faculty.